Discover the highlights of Peru from Lima to Cusco in a complete program that encompassed culture, nature and history. Experience every corner of Lima, go sand boarding the dunes of Huacachina, soar above the enigmatic Nasca Lines, explore Paracas National Reserve, sail to Ballestas Islands, visit Arequipa, spot Condors at the Colca Canyon, enjoy local homestays at Lake Titicaca, delight in the views of the Sacred Valley and get amazed by Cusco and the Lost City of the Incas: Machu Picchu. This program has it all! We meet you at Lima´s airport and transfer you to your hotel in Miraflores, where you are free to relax and wander around at your own pace. Depending on the arrival time we have plenty of suggestions for you so you can make the most of your first day in Lima. Get ready for a full day of exploration of Lima. Our tour starts in the morning visiting Pachacamac an impressive Pre Inca archaeological complex overlooking the Pacific Ocean which was mainly built with mud. Then we drive to Pantanos de Villa, a natural reserve located in the middle of the city. We have lunch in a traditional restaurant where we taste Peruvian food and learn how to prepare Pisco Sour, Peru´s national drink. In the afternoon we head to the heart of Lima´s historic downtown to visit San Francisco convent and its chilling catacombs and walk through its most important streets to observe it architectural monuments like the Cathedral and the Government Palace. In the late afternoon and after the sun has set we enjoy a unique show at Parque de la Reserva. More than thirteen fountains send water shooting into the air showing how water can be artistically manipulated through form, movements and light. Early departure in our private car heading to Ica located 3.5 hours from the capital city of Lima. Once in Ica we have a guided tour through traditional and industrial wineries where wine and our famous Pisco liquor are made. On both visits, we will be able to taste the different products. Then we leave for the natural lagoon of Huacachina, known as the Oasis of America. From this beautiful landscape we go into the desert aboard a powerful tubular vehicle feeling all the speed and adrenaline. We practice sandboarding and test our skills in this sand sport. After observing the sunset from the vastness of the desert we go back to Huacachina and relax in our charming hotel. Early wakeup call and 1 hour drive to Paracas. Once here, we leave from the fisherman´s wharf “El Chaco” heading towards the Ballestas Islands, known as the little Galapagos. On route our boat stops to observe the hieroglyphic known as “The Chandelier” located on a steep hillside in the Paracas Peninsula. This enigmatic figure that can only be seen from the sea, holds many mysteries about its origin and function. Later in the Ballestas Islands we will see a great variety of marine animals in their natural habitat like a huge colony of sea wolves, Humboldt penguins and a variety of seabirds. We go through caves and rock formations that have been carved by the sea, wind and weather over time. Back on the mainland we drive to Pisco airfield and board a modern Cessna Caravan aircraft to fly over the enigmatic Nasca Lines and the new discoveries of Palpa Lines. During the flight we observe the mysterious figures of animals, human beings and geometric forms perfectly crafted in the desert. Then we drive to Paracas National Reserve which is one of the most important marine reserves in the world. We first visit the park visitor center and then walk on a trail to see the flamingos. Afterwards, we drive on a dirt road to some cliff top lookouts where we can admire the immensity of the Ocean and beautiful beaches. We have lunch in the tiny fishing village of “Lagunillas” and then we return to Lima. We wake up in the morning and drive to Lima´s airport to take our 1 hour flight to Arequipa city. Upon arrival we provide you assistance and transfer to your hotel. Afterwards go on a guided walk through the most important points of the city. We start in the beautiful neo classical Cathedral. We visit then other impressive colonial buildings made with sillar; churches and interesting neighborhoods such as San Lazaro. We visit Yahahuara, a scenic lookout that offers amazing views of the Misti and Chachani Volcanos. Finally we visit Santa Catalina monastery, which is one of the most fascinating colonial and religious buildings in Peru and where we can wander through hidden passageways and colorful walls. Early in the morning we pick you up from your hotel. 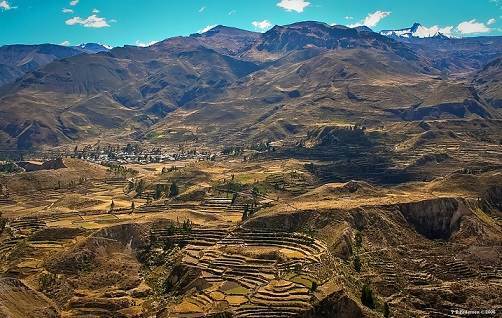 Today we will drive through the Colca Valley stopping in little towns and natural areas such as Pampa Cañahuas and Salinas National Reserve. Due to vegetation in inter Andean Valleys we will be able to observe on our route some of the most common Andean wildlife such as wild vicuñas, lamas, alpacas, deer, wild rabbits, foxes and different species of birds, sometimes even flamingos. Another stop is at the highest point of the route at 4,800masl, where it is possible to appreciate the famous volcanoes and pre Inca farming terraces still in use, called “Andenes”. 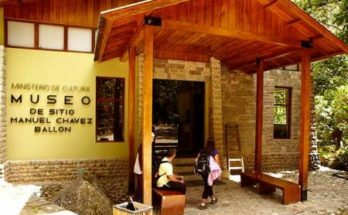 In the afternoon we arrive in the town of Chivay and just before going to bed we can relax in the hot springs of La Calera. Our second day exploring the Colca Canyon starts with a journey to the viewpoint called “Cruz del Condor” which is a perfect spot to observe the majestic flight of the condors and the depth of the canyon. Afterwards we head towards Puno in a scenic 6 hour drive with views of huge lagoons, stone forests as well as small Andean farmhouses. During the journey we stop in the Patapampa lookout where it is possible to observe volcanoes and snow capped mountains. We continue through to Pampa Cañahuas, a national reserve which has as main function to protect the South American camelids and specially the vicuñas. Afterwards we will stop in “Lagunillas” where we can appreciate the wildlife of the region; most of them birds, especially flamingos. We continue until reaching the city of Puno. This is the perfect program for travelers wishing to discover Taquile Island at their own pace and off the beaten path, discovering the essence of local culture. This includes encounters with local families at non-touristic sectors of Taquile. After picking you up from your hotel we ride in our motor boat to the floating reed islands of Uros. Then we continue heading towards Taquile. Upon arrival in the northern dock of the island we hike for almost one hour until arriving to the main village. While we walk up the 535 stairs that take us to the village we have a spectacular view of Lake Titicaca. Once there, we have a delicious Andean lunch and then our local guide takes us to the non touristic section of the island where we meet our host family. We visit the community and the surroundings and have free time to enjoy this magical scenery by ourselves. At night we can join the family and light a bonfire. Today our local guide assists us in finding paths leading to beautiful, remote parts of the island including the pristine white sand beach on the southern part of the island. We have lunch with a local family and after that we start our 1 hour hike, returning to the main dock of Taquile where our boat will be waiting for us. We go back to Puno. Today we take a beautiful bus ride departing from the highlands of Puno and head towards the city of Cusco. We drive along roads through little Andean towns, populated with herds of llamas, alpacas and vicuñas and with breathtaking views of snow capped mountains in the background. On the journey we stop to visit different attractions such as Pukara, La Raya, Racchi and the famous Andahuaylillas Church baptized as the “Sisteen Chapel” of America. We also stop on route to have a buffet lunch which includes Andean and international foods. In the afternoon we arrive in Cusco. This walking city tour takes us not only through the most touristic sites in Cusco such as the Main Square, Cathedral and Koricancha “Temple of the Sun”, but also along ancient streets where we will discover the magic of Cusco. In the afternoon we drive to the northern outskirts of Cusco heading to the magnificent ruins of Sacsayhuaman and its impressive rocky constructions. This tour gives us also free time to wander around by ourselves. After breakfast, we meet our guide who takes us on a tour through the Sacred Valley of the Incas. The first stop on the route is Awanacancha where we can see all the different camelids of Peruvian Andes. Then we visit the archaeological complex of Pisac and have free time to wander around the colorful Indian market, where a variety of handicrafts are available. After this, we drive to Urubamba for a delicious buffet lunch, followed by a guided tour through the giant Ollantaytambo fortress, which was once the scene of one of the most famous battles between the Incas and the invading Spanish conquerors. Today is the big day! 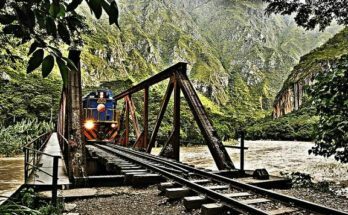 We take the Vistadome train, which provides a spectacular view on the way to Aguas Calientes. Then we take a bus up the steep zigzagging road to Machu Picchu located on an impressive mountain setting. Once at the citadel we take a private guided tour to explore every corner of the “Lost City of the Incas”. Afterwards we have time to wander around Machu Picchu by ourselves walking through temples, palaces and living quarters. In the afternoon we return by train to Cusco. 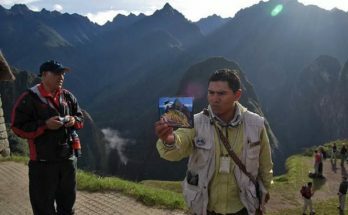 Today you will have a free day to explore Cusco by your own. After breakfast you will be transferred to the airport for your flight to Lima. End of our services. All transfers between airports, hotels, train station, tours and any other activity mentioned in the program. All transportation is included in private vehicles.